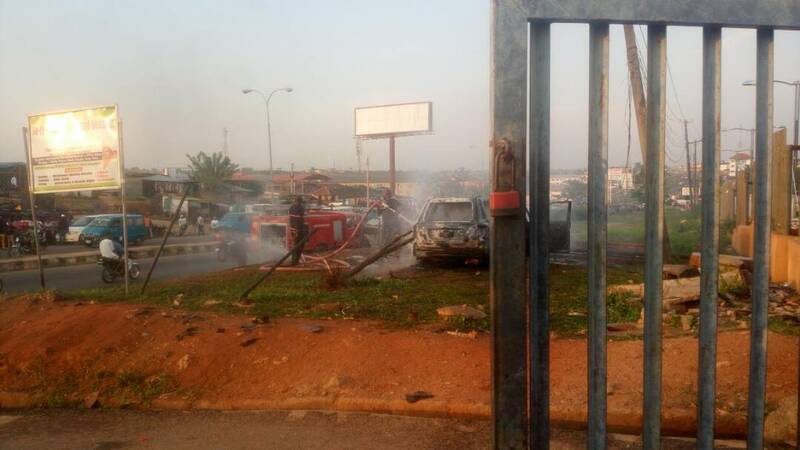 An angry mob has set a car on fire after the driver crushed a pupil of a public school in Osgbo, Osun state to death. 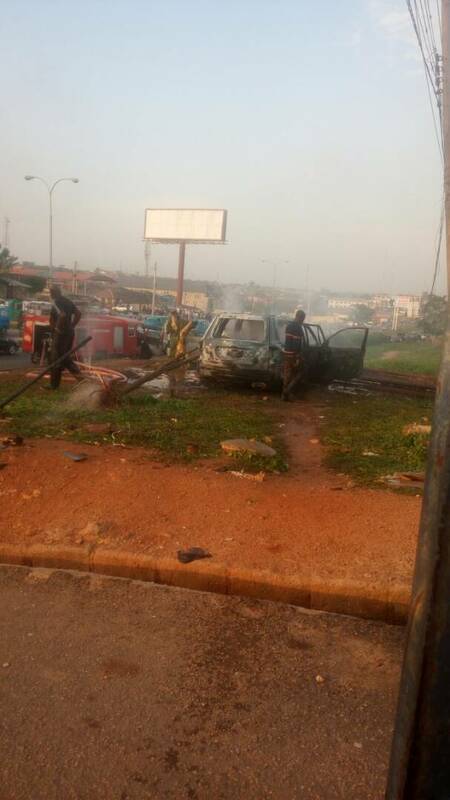 The tragic incident occurred on Monday at Old Governor's Office area in Osgbo around 6:00pm. Amiloaded who got to the scene of the accident few minutes after it struck gathered that the driver lost control of the vehicle after its break failed. 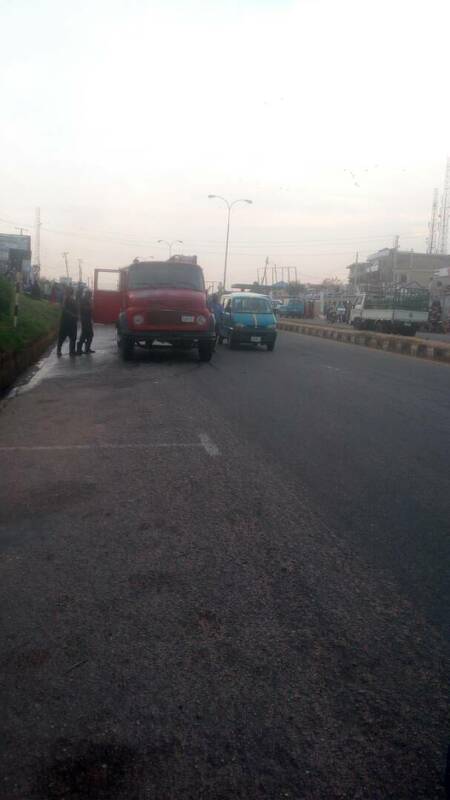 It was further learnt that the male pupil was about crossing the road to the Ayegbaju International Market side before the car hit him and crushed. The boy, simply identified as Samad Azeez, a student of gbodofon middle school died on the spot, an eyewitness revealed to our correspondent. The male driver, whose identity could not be ascertained as at the time of filing this report was said to have been unstable alongside his wife and kid after the accident happened. The family were said to have been rescued from the scene and taken to an undisclosed hospital before some angry residents and passersby torched the vehicle. 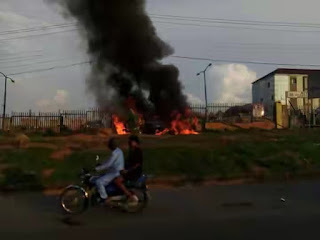 When contacted, the Public Relations Officer of the Osun State Police Command, Mrs. Folasade Odoro confirmed the incident. Odoro said a team of police men had been swiftly dispatched to restore sanity to the area.